When is the Best Time of Year to Prune My Live Oaks? One of the most frequently asked questions I get is: when is the best time to prune my live oaks? Is there a “correct” or “better” time? Many people believe the spring is a bad time, or summer is a bad time. Are they right? Are they wrong? The bottom line is that there’s a lot of bad, unsubstantiated misinformation circulating. To preface my answer, I am a professional, certified arborist. 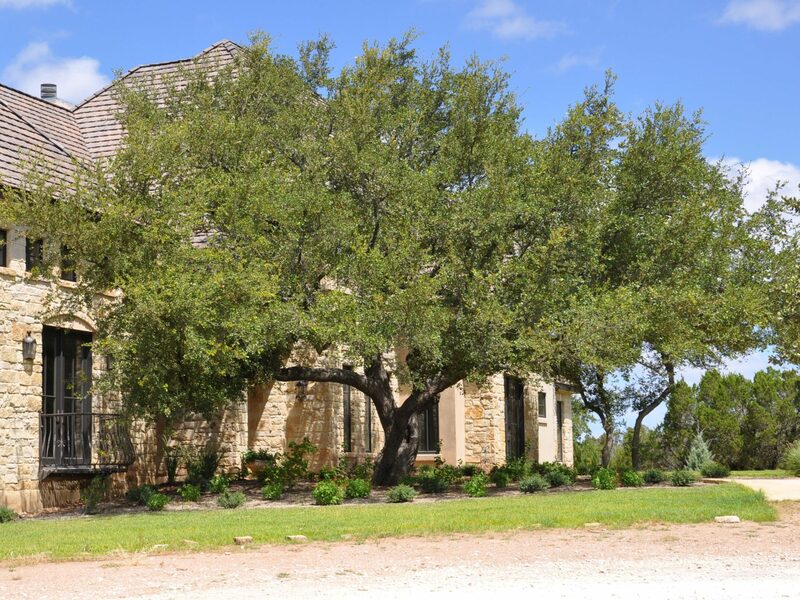 I graduated from Virginia Tech with a degree in forest management and I have been pruning and caring for trees for more than 18 years since I graduated, including the last 12 years in the Austin area as the owner operator of Central Texas Tree Care. We pride ourselves on solid, scientifically based, high end tree care. We have a stellar reputation from Georgetown to Buda. As I drive to customers, I constantly encounter community signs that say “do not prune your oaks from January to June.” Local radio stations and even TV stations interviewing “experts” tell people the same thing. A search on the Internet will find articles repeating the same information. Do all Central Texas tree care companies hang up their pruning equipment for half of the year? Should they? The answer is a resounding NO! If an oak tree needs to be pruned, it should be. The simplest and easiest way to explain this is that if an oak tree has limbs rubbing against the roof or hitting cars in the driveway, or if limbs are being broken by large vehicles driving down the street, then the tree has cracked, broken or rubbing limbs causing constant sap flow. If these broken/rubbing limbs (including crossing limbs in the canopy of the tree) are not corrected, the tree is at constant risk of infection. Once an oak tree is properly pruned, with cuts being sealed off to eliminate sap flow, then the tree is much less likely to get infected. In fact, in all my years pruning trees in Central Texas, not only has our company NEVER had a healthy tree we pruned get oak wilt, but I have never even heard of an instance where a reputable, scientifically trained tree care company had a tree get infected with oak wilt because they pruned it. Through my years of hands-on field experience, I have found that improperly maintained live oak trees are usually the trees that get the disease first. Then the fungus spreads through the roots to the healthy live oaks. Improperly maintained Spanish oaks are more likely to contract the disease from the beetles for the same reason. Additionally, no scientific data exists that says leaving at-risk oak trees unmaintained is a sensible measure for containing oak wilt in Central Texas. In fact, I believe that if we pruned more Central Texas oaks to ISA ANSI-A300 pruning standards we would have less oak wilt, especially in urban areas where trees can be more realistically maintained and pruning companies regulated by municipal laws and regulations. https://centraltexastreecare.com/wp-content/uploads/2015/06/austin-tree-care1.png 0 0 Andy Johnson https://centraltexastreecare.com/wp-content/uploads/2015/06/austin-tree-care1.png Andy Johnson2012-05-22 16:05:122012-05-22 16:05:12When is the best time of year to prune my live oaks? Phytophthera fungus in Texas oaks Why do Bradford pears split?